This is Part 2 of an occasional series on tricky probate problems and how to solve them. In Part 1, I looked at the issue of limited grants. In this post I will look at the options that are available where a caveat has been entered, warned, and an appearance entered. Usually, in these circumstances, unless terms can be reached or the caveator can be persuaded to vacate the caveat, a stalemate is reached that can only be broken by one or other party issuing contentious probate proceedings. But what about where the caveator’s challenge is weak or hopeless, what are the options then? The disappointed party disputing the validity of what is claimed to be the deceased’s last Will lodges a caveat at the probate registry, the effect of which will be to to prevent probate being granted in respect of the Will (save for the sorts of limited grants explored in Part 1 of this series here) whilst the caveat persists. The party wanting the Will to be admitted to probate “warns” the caveat, which will allow the application for the grant to proceed unless an appearance is entered within 8 days. The disappointed party “enters an appearance” in Form 5 of the Non-Contentious Probate Rules. Once an appearance to the warning has been entered, the caveat will be permanent unless and until it is discontinued, upon the parties reaching terms or following contentious probate proceedings. So it would appear that, unless the caveator can be persuaded to remove the caveat or terms of settlement are achieved, the parties are doomed to pursue contentious probate proceedings and either the party wanting the Will to be admitted to probate or the party objecting, will have to issue. From time to time, however, someone will enter a caveat where they have no “contrary interest” in the issue of whether or not the Will should be admitted to probate. A contrary interest here means that the person who has entered the caveat must have a potential interest in the estate e.g. under an earlier Will, or on intestacy, if the Will that is the subject of the caveat is found to be invalid. In some circumstances, a party who does not have an interest in whether or not a Will is admitted to probate will nonetheless lodge a caveat with the objective of preventing the person who is otherwise entitled to a grant of probate from obtaining a grant – e.g. a creditor of the estate, who has no interest either way in whether or not a Will is valid, may consider that the named executor is unsuitable for some reason and want to prevent that person from administering the estate. That is perfectly legitimate, however in such a case the party who has entered the caveat, if they lack a contrary interest, must issue a summons to bring the matter before a District Judge of the Principal Registry or a Probate Registrar and explain why the person warning the caveat should not be entitled to a grant of probate. Occasionally, someone will enter a caveat and an appearance to a warning where they are seeking to prevent a Will being admitted to probate, but their position is weak or wholly hopeless. What do you do then? Well, the answer depends on just how hopeless the caveator’s position is. From time to time, someone will enter a caveat where they lack a contrary interest and have no other basis for disputing the entitlement to a grant. Usually, this happens where someone believes that they may have an interest in an estate if the Will they take issue with is invalid, but they are in fact mistaken – for example, where the earlier Will upon which they rely has been automatically revoked by marriage or divorce and they would not benefit on intestacy. Occasionally, caveats are entered for reasons that are misconceived (e.g. where there is a prospective claim under the Inheriance (Provision for Family and Dependants) Act 1975 but no validity challenge) or vexatious. Form 5 requires only very limited information to be given when the caveator enters an appearance and they are not required to produce any evidence supporting their claim to a contrary interest. In such cases, where, for example, the caveator cannot hope to gain any benefit from a contentious probate dispute – a summons may be issued to bring the matter before a District Judge of the Principle Registry or a Probate Registrar and to have the matter dealt with summarily by applying to vacate the caution. This will usually be quicker and more cost effective than having to issue contentious probate proceedings. If the caveator has a contrary interest, to the extent that they can show that they would benefit under an earlier Will or on intestacy, but the claim is simply weak, it will most likely be necessary to consider issuing contentious probate proceedings and applying for summary judgment pursuant to Part 24 of the CPR instead of the summons procedure. Summary judgment will be available if the claim is so weak it has no real prospect of success and there is no other compelling reason why it should be disposed of at trial. Successful summary judgment applications are not common in contentious probate disputes. King v King  EWHC 2827 (Ch) provides a rare example of a successful application. In King v King, the claimant and the deceased had cohabited since the 1960s. The deceased had two children from an earlier relationship, who were the defendants to the claim. 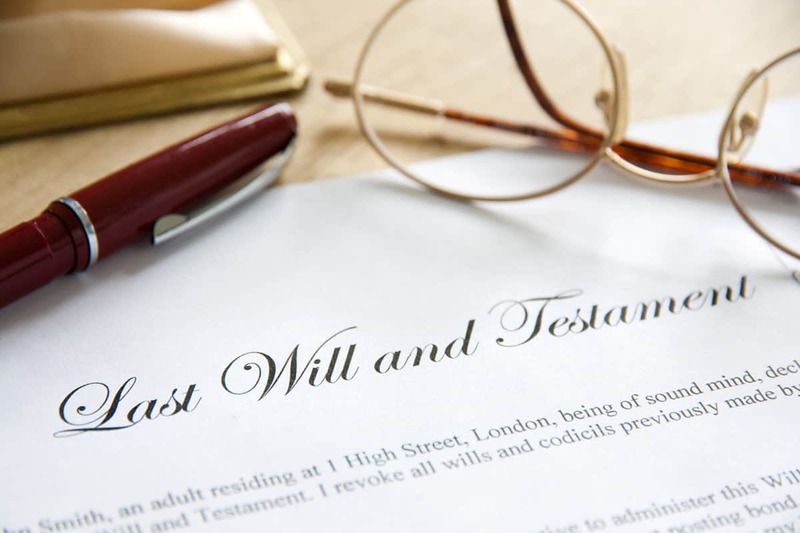 The deceased had made a Will in 1991 leaving his estate to the claimant, however in May 2005 he instructed his solicitor (who also happened to be the husband of the deceased’s niece) to prepare a new Will leaving his estate to his children, with a life interest in the claimant’s favour. The Will was executed in June 2005. However, the claimant and the deceased then married in September 2005, with the result that the June 2005 Will was revoked. Thereafter, the deceased instructed his solicitor to draw up a further Will in the same terms, which he executed. The claimant applied to revoke the grant of probate, which had been obtained in respect of the September 2005 Will and the defendants thereafter applied for summary judgment. The claimant contended that the Will was invalid on the basis that she alleged that the solicitor had executed undue influence over the deceased, or, alternatively, that the deceased did not know and approve of its contents. There was a strong presumption that the Will represented the deceased’s intentions at the time of execution as it had been prepared by a solicitor and summarised orally to him before he signed it and the execution of the Will had been supervised by a second solicitor and a secretary. The deceased had given clear instructions in relation to both the June 2005 Will and the September 2005 Will, which were recorded in attendance notes. Whilst the claimant had raised the issue of the deceased’s eyesight, she was inconsistent in her descriptions of the degree of his impairment and conceded that he could read with a magnifying glass. Following Gill v Woodhall  EWCA Civ 1430, the circumstances gave rise to a strong presumption that the test for knowledge and approval was satisfied, namely that the deceased knew what he was doing and its effect. The claimant had failed to advance a case that rebutted the presumption. There were no suspicious circumstances necessitating the court’s further investigation – the fact that the solicitor was the husband of the deceased’s niece was irrelevant where neither he nor the deceased benefited. The defendants were successful in this application before Master Teverson and the Master’s decision was affirmed on appeal. In most instances, entering an appearance will mean that the next step is contentious probate proceedings, unless sense prevails and the parties are able to reach terms without the need for proceedings to be issued. In a wholly hopeless case, where the caveator cannot demonstrate any contrary interest, getting the matter before a District Judge of the Principal Registry or Probate Registrar, and applying to vacate the caveat, may provide a more speedy and cost effective solution. But where a person can demonstrate that they would, conceivably, have an interest in the estate under an earlier Will or on intestacy, but their claim is very weak, summary judgment is worthy of serious consideration. Of course, contentious probate disputes generally feature a background of hotly contested fact that will not be amenable to summary judgment but there will be rare cases where you may have a good chance of persuading a court that the case has no real prospect of success and should not proceed to a full trial. This entry was posted in Administration of trusts and estates, Validity disputes. Bookmark the permalink.